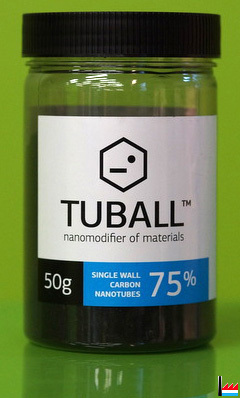 The Ministry of the Economy of the Grand Duchy of Luxembourg and OCSiAl, the world’s largest manufacturer of single wall carbon nanotubes, have agreed to collaborate with regard to the construction of a nanotube production facility that will have an annual capacity of 250 tonnes. OCSiAl’s investment will total about 80 to 100 million EUR and the project is expected to generate up to 200 highly qualified jobs in R&D, manufacturing, sales and marketing, maintenance and support services. The Luxembourg government intends to grant OCSiAl a surface right on industrial land for the construction of the synthesis facility and an R&D centre for the development of nanotube industrial applications. Indeed, OCSiAl has already chosen a plot of land in Differdange proposed by the Luxembourg Ministry of the Economy, as the site where this ambitious project will be realised. 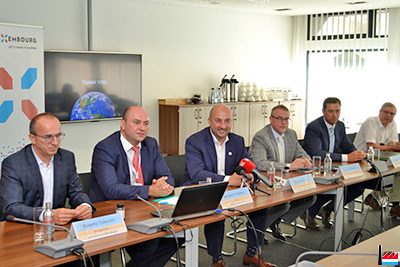 “Our choice for the location of the world’s largest facility was determined by the fact that Luxembourg is a highly industry-friendly environment and it is known for its strong commitment to assisting the development of the most innovative technologies. As OCSiAl’s corporate headquarters has been based in Luxembourg, the company is well aware of the high working standards and fast processing speeds when collaborating with both national government and municipality administrations. This kind of approach accelerates the development of new technologies”, said Konstantin Notman, CEO OCSiAl Europe. OCSiAl shares the commitment of the Grand Duchy of Luxembourg to developing innovative technologies and new materials of the future. The company is thus delighted to announce that The Future of Materials Summit: a New Age for Manufacturing, organised by The Economist Events and supported by OCSiAl, will be held in Luxembourg on 13-14 November 2017. The Summit will bring together leading manufacturers, scientists, technologists and policymakers for a discussion intended to illuminate the role of novel materials in the manufacturing industries of the future.